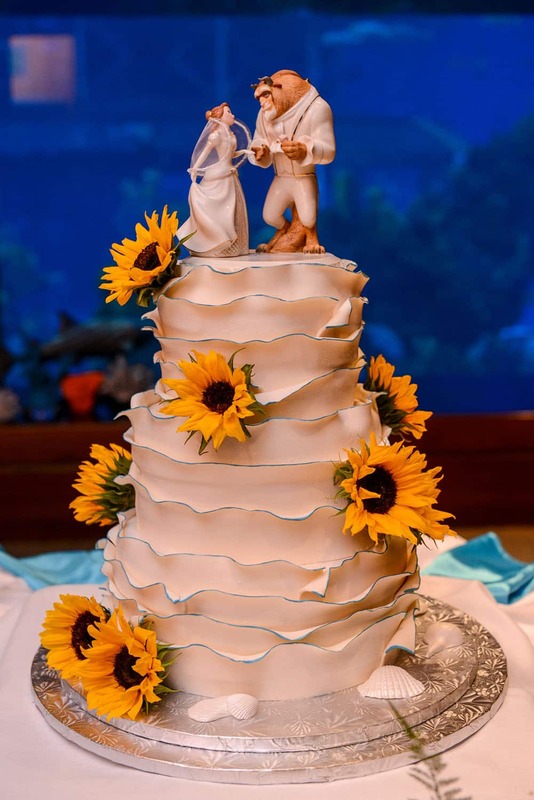 The beauty of this cake is all in the details. 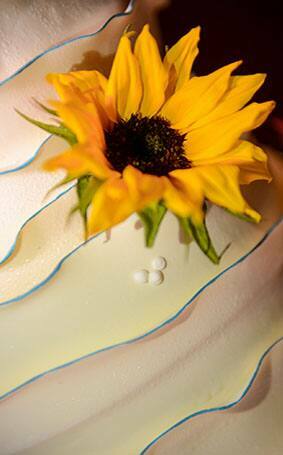 The fresh sunflowers and layered ruffles add both texture and visual elegance to all three tiers. 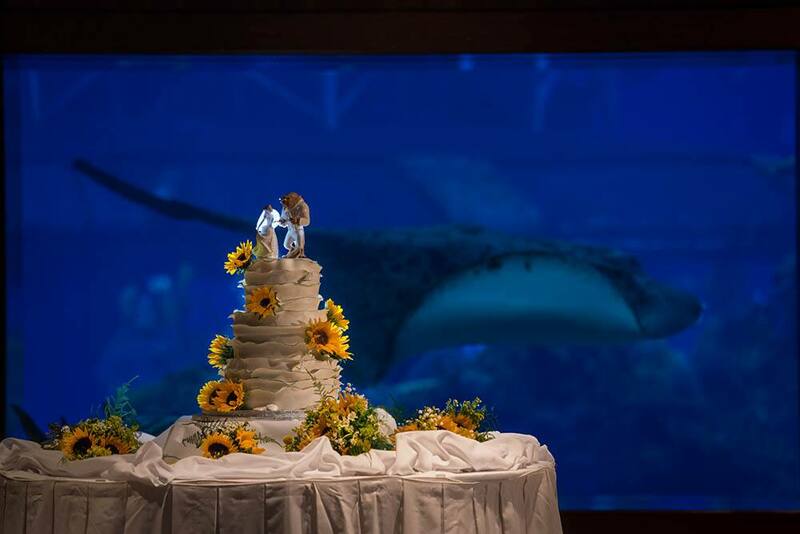 Set in front of the aquarium window at the Living Seas Salon, a whole host of sea creatures are trying to join in the cake tasting too. 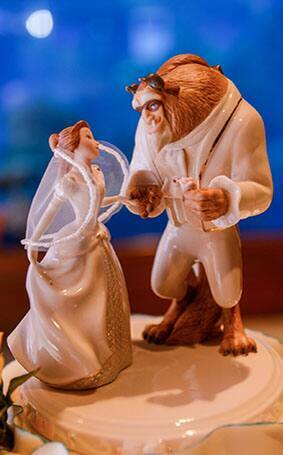 Topped with a favorite Disney couple, Belle and Beast adorned in their own wedding attire, we invite you to be our guest and enjoy this delectable dessert.